Posted June 18th - Ron has been at it again! He found this interesting video of an intersection somewhere in Mexico??? that is supposed to be like this. You be the judge! It looks like everything except the last 3 vehicles are real. Maybe the last 3 vehicles are animation??? but it is hard to tell. The last page says "animation #3" in Spanish. Watch the dog's reaction to the motorbike - it certainly looks real to me. This is one of the largest engines in the world, built to power a massive container ship. Did we mention massive? I think so. 1920's experimental flying machines published by the Army Air Corp.....a good way to pass 20 minutes! And what we have here is British extreme lawnmower races......well why not? Amazing gigantic transportation issues solved before your very eyes! This is a compilation of several "worst cars of....." lists. The world has a lot of great cars as well as some pretty poor ones that got into production also. Apologies to anyone who owned and loved one of these. I eliminated a number of popular cars from their lists like the Corvair (rear end heavy), the Explorer (roll-over), M.G.A twin-cam (poorly build engine)., and the Pinto (gas tank location)....... but included a few very stylish cars like the Iron Horse 50hp Camaro for its whopping zero to sixty acceleration of 20 seconds. A hot looking Camaro? What WERE they thinking?. A few of these cars made the list as a result of bad design decisions (Aztec), and a few because they are downright poorly made (Yugo). Read and enjoy the list and take it with a grain of salt. But the HORSEY HORSELESS with its horsehead front end may be the best of all. This bizarre vehicle was intended to soothe the nerves of horses that shared the road with automobiles. From the mind of inventor Uriah Smith of Battle Creek, Michigan, came a buggy with a wooden horse head attached to the front. Hoping that this would cause the buggy to resemble a horse drawn carriage. Smith even recommended that the horse head be hollow and full of fuel, because that wouldn’t be dangerous or anything right? “The live horse would be thinking of another horse,” said Smith,”and before he could discover his error and see that he had been fooled, the strange carriage would be passed.” History isn’t 100% clear on whether or not the Horsey Horseless was ever built or if it was just a pipe dream from an inventor, either way it’s a terrible idea. The Scripps-Booth Bi-Autogo was a massive 3,200 lb motorcycle with training wheels, a V8 engine, and copper tubing everywhere. This crazy idea is the brainchild of James Scripps-Booth, an heir of the Scripps publishing fortune and a self taught auto engineer. The two-wheeled Bi-Autogo carried the weight of the vehicle on 37-in wooden wheels. When going slow, the driver could lower smaller wheels on outriggers to stabilize the vehicle, preventing it from tipping over. Even for 1913 this was a bizarre vehicle. One good thing that came out of the creation of the Bi-Autogo is the V8 engine. 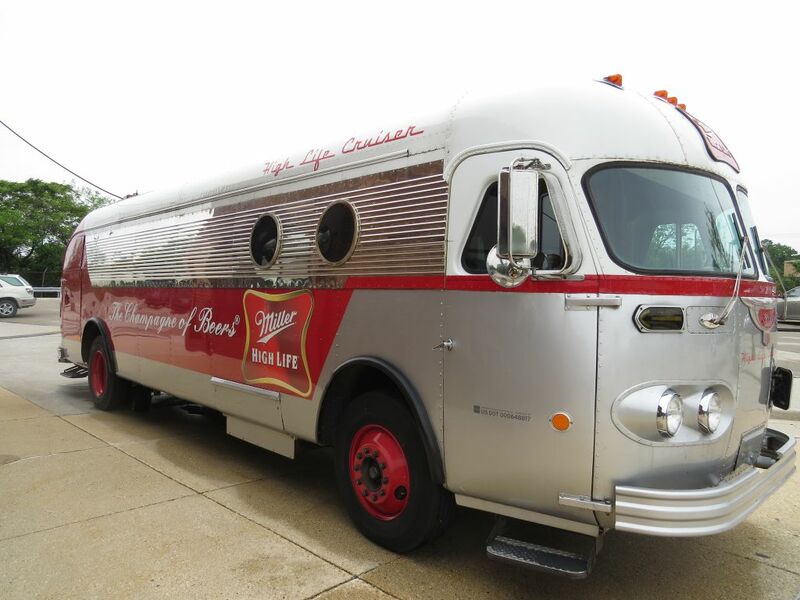 This was the first vehicle to come out of Detroit with a V8 engine in it, making it at important to history. By the time 1920 rolled around we had started to get the hang of building automobiles. Rolls-Royce, Cadillac, and Voisin were all producing luxurious automobiles and pushing forward with technological advancements. On the other end of the spectrum was the Briggs and Stratton Flyer. Compared to other automobiles you could hardly call the Flyer a car, it was pretty much a motorized bench with bicycle tires on it. No body, no suspension, no windshield, and no style, this vehicle was an attempt to make a very cheap automobile. 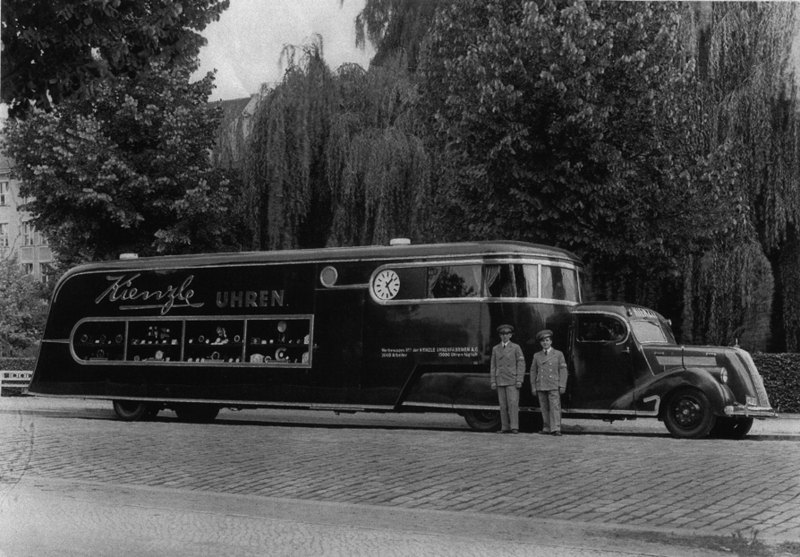 The Flyer was powered by a tiny 2 horsepower engine driving a traction wheel, similar to a boat with an outboard motor. No actual power went to the Flyers axles. Designed by R. Buckminster Fuller, the Fuller Dymaxion was initially conceived as a flying machine. The plan was to install jet engines and inflatable wings, so you could drive it like a car and then inflate the wings and fly away when you wanted a plane. 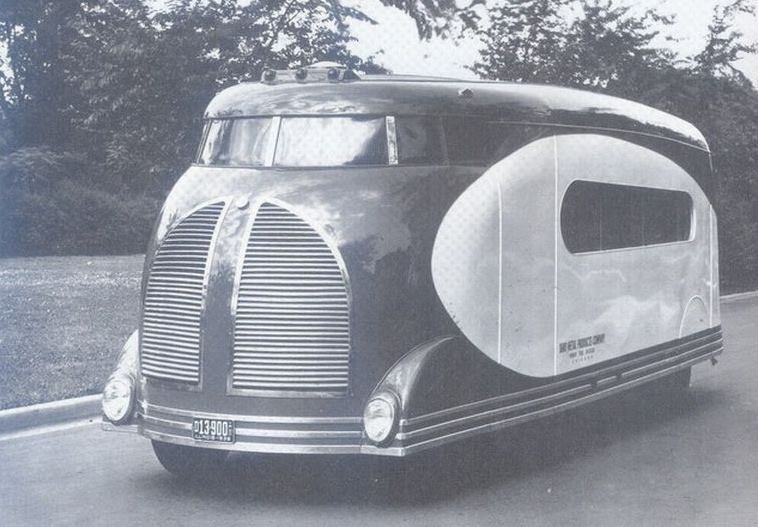 The wings never became a part of the production model, and without them the Dymaxion looked like a giant pill rolling down the road. 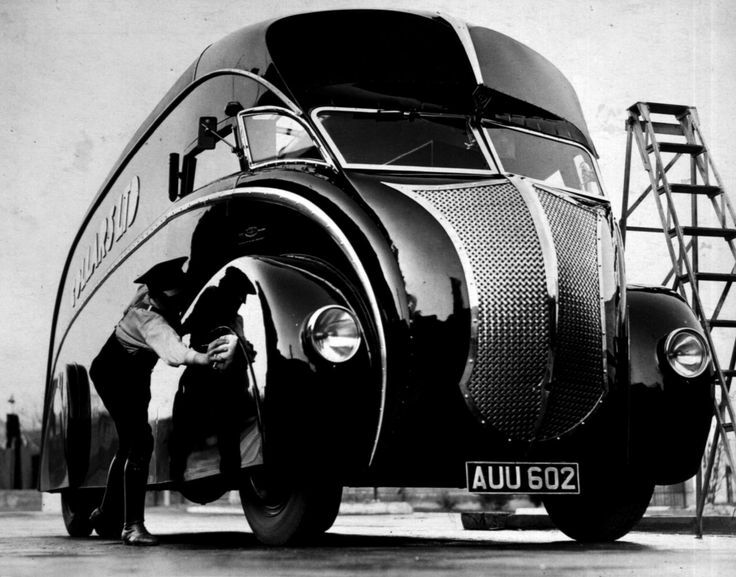 The Dymaxion was a three-wheel vehicle, with a levered A-arm carrying the rear wheel, which swiveled like the tail of an airplane. The first model had a terrible wobble from the rear wheel, the next two built were bigger and heavier, while the third model had a stabilizer fin on the roof. 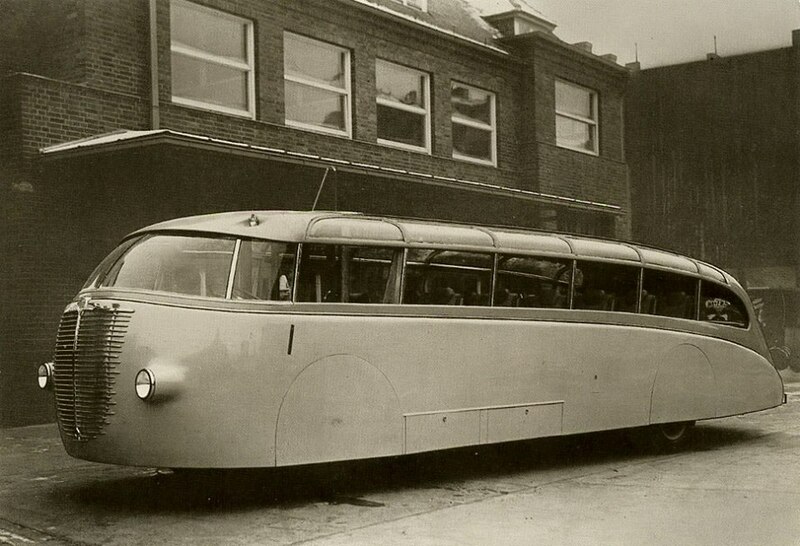 A fatal accident involving the Dymaxion ( due to unknown causes) killed the vehicles chances of public acceptance. The Crosley Hotshot was the first postwar America sports car, and it was a poorly built. The Hotshot was slow, dangerous, and weighed very little for a steel car, clocking in at 1,100 lbs. The Hotshot can be seen in the 1961 driver’s ed video Mechanized Death, where it appears mangled and smashed up. The Hotshot was designed by Powel Crosley Jr., of Cincinnati. Crosley had radio fame, but he wanted to build cars, which he attempted. It had CIBA (Cast-Iron Block Assembly) which was average at the time. There were good things too… A Super Sport (Hotshot with doors) won the Efficiency Index at the 1951 LeMans race. The Renault Dauphine is a french made vehicle that originally was to be named the Corvette. Luckily that name was used for a much better vehicle. The Dauphine was so rickety and the metal used was so paper thin that rust was guaranteed. The design was similar to other cars of the time, it just used low quality materials. Worse than the inexpensive construction was the Dauphine's performance. It took the drivers of Road and Track 32 seconds to reach 60 mph. That’s slower than even the weakest vehicles sold today. Somehow this super cheap, poorly built vehicle managed to sell over 2 million units around the world. In the 50’s, Caud Dry and Dale Orcutt, of Athens, Ohio, decided that they were going to create cars that everyone could afford. 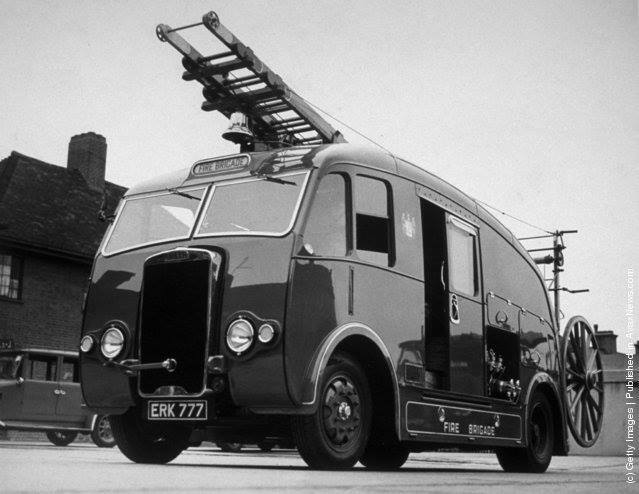 They started with the Model I, offering the vehicle as a home-built kit. The kit contained a frame, axles, and sheet metal patterns that needed to be crafted by someone with fabrication skills. Any single-cylinder engine would power the vehicle. It was like a giant do-it yourself model that you could drive down the road after you built it. Somehow they remained in business until the late 60’s, with their crowning achievement being the Model III. The Model III was a folded steel box with a 9 horsepower motor. Government safety standards caused the King Midget to become a memory. Waldo Waterman once heard aviation pioneer Glenn Curtiss remark how he would like to drive and airplane away from the airfield. After hearing this Waterman went to work and spent years developing the Aerobile. In 1934 he flew a prototype, the “Arrowplane”, which was a high wing monoplane with tricycle wheels. The wings folded against the fuselage when it was on the ground, like an insect’s wings. The fact that the wings folded backwards is terrifying to think about, considering a failure in the air would just fold the wings back and plunge you to your death. 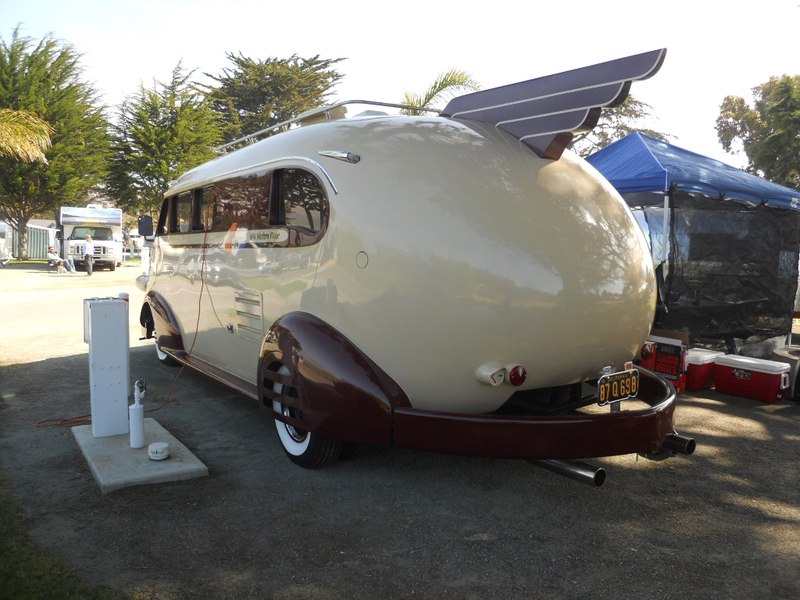 Decades later in 1957 Waterman perfected his design, the Aerobile. No one wanted to tempt death by buying one of these machines, so the one working prototype resides in the Smithsonian as the first flying car. The Ford Edsel was doomed once the hype surrounding the car got rolling. The marketing department at Ford led everyone to believe the Edsel would be a fantastical car of the future, a plutonium powered scientific wonder. What they delivered was a Mercury. The Edsel wasn’t that bad a car. Sure it looked kinda plain, it drank gas, and it was far too expensive, especially during the 50’s recession, but it wasn’t as bad as it’s made out to be. Some critics blame the Edsel’s failure on the grille,which resembled someone throwing up. Zundapp was a well known motorcycle manufacturer based in Nuremberg, Germany. During a low point in motorcycle sales the company decided to try its hand at building a car. Based on a Dornier prototype, the Janus was powered by a 250cc 14 horsepower engine, with a top speed of 50 mph. If you actually wanted to go 50 mph, you needed plenty of road and time on your hands. The backseat had a rear facing bench seat, so passengers could watch traffic go around this slow moving pile of metal. The Janus’s design resembled a trapezoidal shaped VW Bug, without the charm. 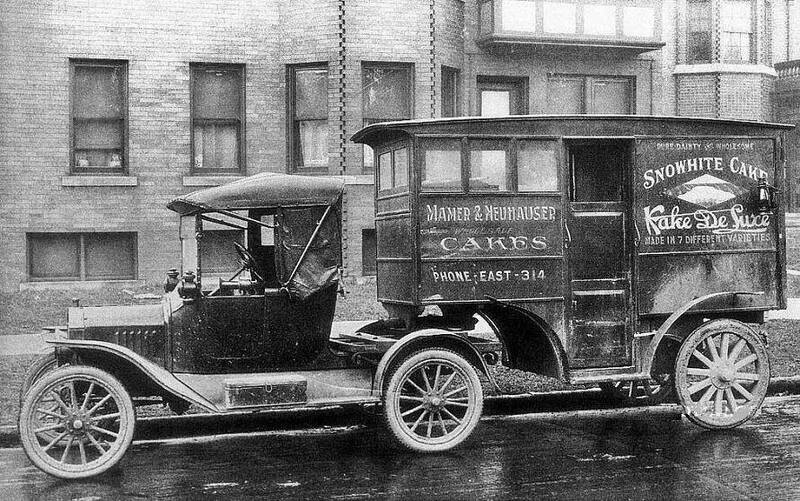 Sales were dismal, and the Janus was discontinued, ending this rolling vehicle's life as an automobile. The Amphicar was designed to be a car and a boat, the problem was it wasn’t very good at either of these jobs. As a car the handling was average but the engine wasn’t particularly great and it wasn’t much of a looker either. As a boat the Amphicar was incredibly slow, with a top speed of 7 mph. It maneuvered through the water rather well considering it was a boat-car, but the biggest problem was that the Amphicar was not water tight. The car leaked from various places and the only reason the car stayed afloat was because the bilge pump was able to keep up with the leaks. If the bilge pump was unable to keep up, the Amphicar would cease to be a boat and turn into a sinking car. The Peel Trident looks like it belongs in a science fiction movie. Shaped like a flying saucer, the Trident was designed and built in the Isle of Man in the 1960’s. It was the second three-wheeled microcar developed by the Peel Engineering Company. The Trident had a clear bubble top made of plexiglass, and as much as it looked futuristic, it was a terrible idea. The sun beating down on the plexiglass made the interior uncomfortably hot. The engine was a 49 cc DKW engine, and had a top speed of 28 mph. The trident was also cramped, turned out being one of the smallest cars in the world was a negative feature. One the plus side the Trident did get 83 mpg. The Bond Bug is the product of car designers being captivated by the idea of making cars with fiberglass. Since they didn’t have to deal with the expensive process of bending sheet metal, or be held down by the limitations of sheet metal, they could make a vehicle look however they wanted. 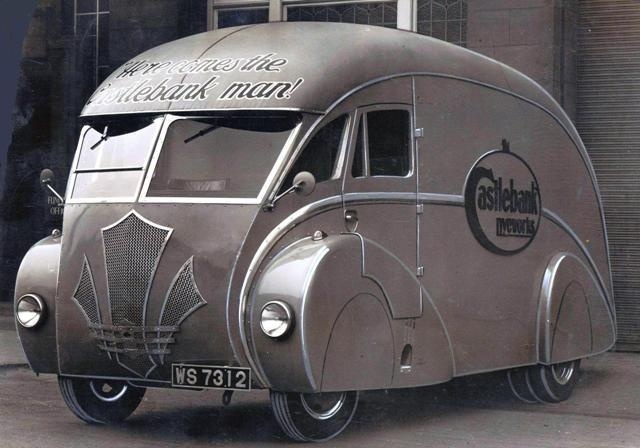 The result was a vehicle that looked like the nose of a spaceship from a sci-fi movie on wheels. In order to save money, the manufacturer used only three wheels, because British tax law made it cheaper to license a vehicle with only three wheels. The Bond Bug came in only one color: neon orange, further adding to the bizarreness of the vehicle. If the goofy looks weren’t enough, the three wheel design made it easy for the Bond Bug to roll over, making it an ugly car that was also unsafe. Designer Milton Reeves rejected the general consensus that automobiles only needed four wheels, feeling that six or eight wheels was a better idea. Under the auspice that more wheels would equate to a smoother ride, Reeves began modifying a 1910 Overland. Welding in some parts, adding two more axles and four more gun cart-style wheels, Reeves gave birth to the OctoAuto. He displayed the Frankenstein monster of a car proudly at the Indianapolis 500. The OctoAuto measured over 20ft long. Zero orders for the vehicle were made, but Reeves didn’t let that stop him. The following year he tried again with the Sextauto, which was a six wheel, single axle design. As evidenced by the lack of six wheels on normal cars today, the Sextauto was also a flop. Meaning “satellite” in German, the Trabant’s name was inspired by the Soviet Sputnik. The vehicle was produced in East Germany and is an example of a vehicle created without competition. The engine was outdated and inefficient, with only 26 horsepower, and the exhaust was incredibly smoky and full of pollutants. The Trabant produced nine times the hydrocarbons and five times the carbon monoxide emissions of the average European car of 2007. The two-stroke engine didn’t have an oil injection system, so oil needed to be added to the fuel tank. Speaking of fuel tanks, the lack of a fuel pump in the Trabant meant the fuel tank needed to be placed above the motor in the engine bay. This is so fuel could be gravity fed to the carburetor like a model A Ford. The fuel tank being in that location increased the risk of fire in front end accidents. The FSO Polonez is a Polish vehicle, that was considered by many to be one of the most undependable, unstylish cars ever made. The car’s name comes from the Polish dance, polonaise. The materials used to build the Polonez were cheap and resulted in the car being relatively unsafe. Even though it was a rather boring car, the Polonez was produced until 2002. In an effort to get into the luxury compact market during the 80’s, Cadillac rushed production of the Cimarron. They took a GM small car platform and covered it in glitz. Leather upholstery, air conditioning, alloy wheels, intermittent wipers, and anything else that they could cram into the car were added. Customers saw right through Cadillac's ploy and immediately recognized the car for what it was: an expensive Chevrolet Cavalier. The engine was the same little four-cylinder found in the Buick Skyhawk and the Oldsmobile Firenza. Cadillac tried to keep the Cimarron alive, even adding in a V-6 option in 1985, but consumers never took the bait. In 1988 the Cimarron was discontinued. The Cimarron was such a colossal failure that Cadillac product director John Howell kept a picture of it in his office with the caption “Lest we forget” written on it. The Camaro is a car known for having a big powerful motor and the potential for speed. The 1982 Camaro Iron Duke was the exact opposite of this. The engine was a 2.5 liter, four-cylinder that had a underwhelming 50 horsepower. The Iron Duke was the smallest, weakest, most un-Camaro engine ever placed under the hood of a Camaro. To make matters worse, the Iron Duke was mated to an inexpensive three-speed transmission. With a zero to sixty time of over 20 seconds, the Iron Duke went nowhere fast. It’s pretty embarrassing when you’re sitting behind the wheel of a Camaro and a grandmother in a station wagon blows past you like you’re standing still. Imported by Malcolm Bricklin, the same guy who designed the Bricklin SV1, the Yugo GV was a terrible car. Built in Soviet-bloc Yugoslavia, the Yugo GV seemed like it was thrown together quickly so the assembler could go somewhere else, perhaps to assemble a better car. The engine was weak, resulting in poor acceleration and a low top speed. The engine also routinely failed, due to the timing belt snapping. The electrical system was known to have shorts, resulting in that wonderful burning wires smell filling the cabin and sometimes pieces of the car would just fall off. There were some people who claimed that rigorous maintenance of the Yugo will keep it running with no problems, but a poorly built car that you need to constantly maintain is still a poorly built car. The EV1 was ahead of it’s time when it came out. It was the best electric vehicle anyone had ever seen. Designed to comply with the strict zero-emissions-vehicle mandate in California, the EV1 was a decent car with good power, giving it a nice amount of speed, while also being fun to drive. GM made claims that the EV1 was the next step in all-electric cars, eliminating pollution-causing gasoline engines. Unfortunately, GM was off the mark and too early. The battery technology was not sufficient at the time to deliver on GM’s claims. The lead-acid batteries couldn’t give drivers the range they needed for the car to be useful. The later nickel-metal hydride batteries couldn’t handle the load either. The EV1 was also incredibly expensive to build, leading to GM terminating the project. In the late 90’s Chrysler engineers were given free reign to design whatever they wanted in a “hot-rod” or “sportster” type vehicle. The result was a design from Thomas C. Gale, the Plymouth Prowler. The Plymouth Prowler looked like a hot rod from the 30’s, only it didn’t have a hot rod engine under the hood. Cutting corners and pinching pennies, Chrysler plopped a 3.5 liter V-6 under the hood of the Prowler, giving it a less than impressive 250 horsepower. The open wheel front end and hot rod fuselage looked nice, but the lack of power made the Prowler an unappealing dud. To make matters worse, the Prowler was cursed with an automatic transmission, so you couldn’t even drive the vehicle like the speedster it appears to be. If there was an award for weirdest looking car the Fiat Multipla would have won it. The high-beams were situated at the bottom of the A-pillars, the A-pillars themselves wrapped under the windshield and connected, resulting in an ugly bulge on the hood, the rear was bulky and odd shaped, and the whole thing sat on small wheels. The vehicle looked like a car that was bombarded repeatedly by radiation until it mutated. Mechanically, the Multipla was a decent car. The suspension handled whatever was thrown at it, the engine provided adequate power, and the interior was comfortable. If it wasn’t such a horrendous looking vehicle, the Multipla wouldn’t be on this list. I’m not sure what Fiat was thinking when they designed this. Another hideous vehicle, the Pontiac Aztek was almost universally disliked when it was unveiled at the Detroit auto show. The car was an awkward, bulky, plastic mess, that looked like nothing else on the road. Rather than embrace the unique look of the Aztek, most recoiled. Interviews with GM designers revealed that the original design for the Aztek had been fiddled with, altered, and had corners cut to reduce costs resulting in what we see here. Oddly enough, years after the Aztek had been removed from production, a resurgance in popularity and public interest happened, all thanks to its association with Breaking Bad. After watching lead character Walter White drive an Aztec, suddenly the car became cooler than it ever was when it was in production. The Citroën C3 Pluriel is a variant of the C3 supermini built by Citroën. While the regular version of the C3 is an efficient little car, the Pluriel variant was a disaster. The roof was removable to turn the vehicle into a convertible, but there was no room inside the car to store the roof pillars. In the event of a sudden rainstorm, the occupants were getting wet. There was a retracting fabric top that ran along the middle of the vehicle’s top, but it was prone to leaking and offered little shelter from the rain. If the roof design was built better, the Pluriel wouldn’t be on the list, but making a convertible that you can’t put the roof back on mid-trip is unforgivable. Chevrolet decided it wanted to go retro with the Chevrolet SSR, and it ended up being a disaster. Looks wise, the SSR was great. The SSR was an awesome-looking hot rod pickup truck with composite body panels and a slick convertible top. The problem was Chevrolet forgot that the point of a hot rod was to go fast, and they packed an underpowered and lazy motor into the SSR. The chassis and mechanical components were borrowed from GM’s SUVs, which made the vehicle heavy and the handling loose. The SSR was a good idea, that was poorly executed by Chevrolet. The later models of the SSR rectified some of the vehicle’s initial problems, but it was still a terrible outing at the auto show. The Buick Signia is one of the ugliest cars to ever hit the show floor, and was definitely the ugliest car at the Detroit auto show in 1998. The exterior looked like someone added part of a station wagons back end to the back of a sedan, resulting in oddly shaped rear windows and a bulky back end. The interior was no better, with wood accents covering everything except the steering wheel and seats. The shifter looked like a golf club head was glued to it and the dials looked like something out of an 80’s sci-fi film. The back end opened up and looked like a truck bed was spliced with a hatchback. Everything about the Signia was a mess, and it’s no surprise it didn’t see production. Let's start out with this "OSHA" (not) approved way to change street light bulbs in 1910. If they had put that safety rail about 18 inches higher, I would feel more comfortable with the man s-t-r-e-t-c-h-i-n-g at the top. This ladder appears to operate like a standard step ladder, hinged in the middle for easy folding. I would be interested is checking out how this device is secured to the roof of the truck - before putting myself on even the first step. This is pretty nifty.....A tent built around the car. Notice however that the roof of the car extends all the way through the back of the tent, meaning that the car has become part of the camping contraption. Possibly there is a door in the back, as I do not see one along the sides or front. Interesting concept for the early 1900's however. Can little creatures scurry underneath the car and into the tent? Questions to ask before purchase. This remarkable contraption looks like a doll house that was placed upon a model T Ford frame. Since the "picture window" is centered , I wonder how the driver sees anything. Then there is the issue of turning....hope he has long arms or a broomstick to use as a turning signal plus I see no mirror. An interesting concept to be sure. Look at the size of the lock that keeps the door closed. The "criminal" appears upset while the policeman casually writes a ticket. Based on the width of the bars, the policeman could be in danger while driving back to the station.....but the padlock would hold fast in the event of an accident! Ron Borum has been busy finding interesting things for us to enjoy, like this side by side bicycle complete with baby carriage in tow. Just look at the happy couple! Note that the lady has to stand up to pedal the bike! These great descriptions for common work tools are exactly correct.....thanks Jock for sending them over. 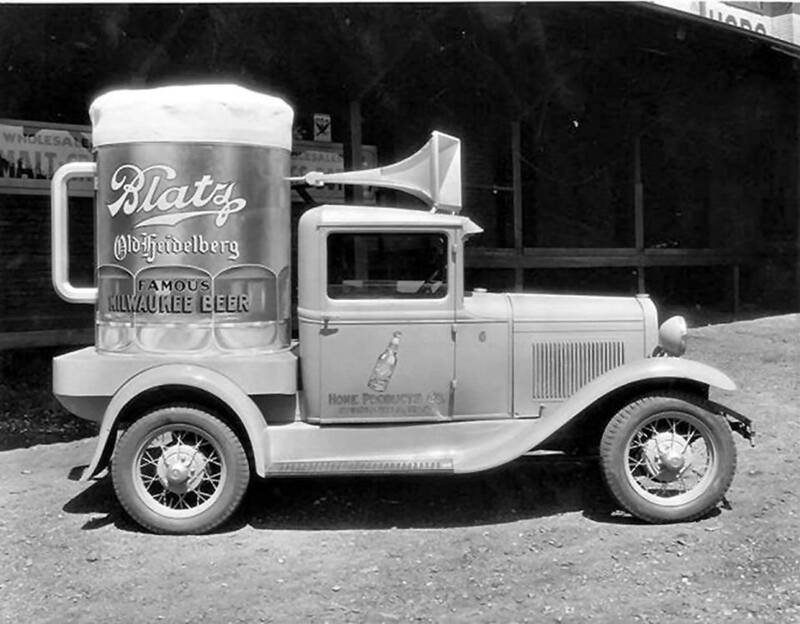 Ron has managed to come up with a group of "old haulers" from the 30's-40's and 50's......this one is in easy to view youtube format. Sit back and enjoy some of the most interesting trucks anywhere. During most of the 19th century, natural gas was used almost exclusively as a source of light. Without a pipeline infrastructure, it was difficult to transport the gas very far, or into homes to be used for heating or cooking. 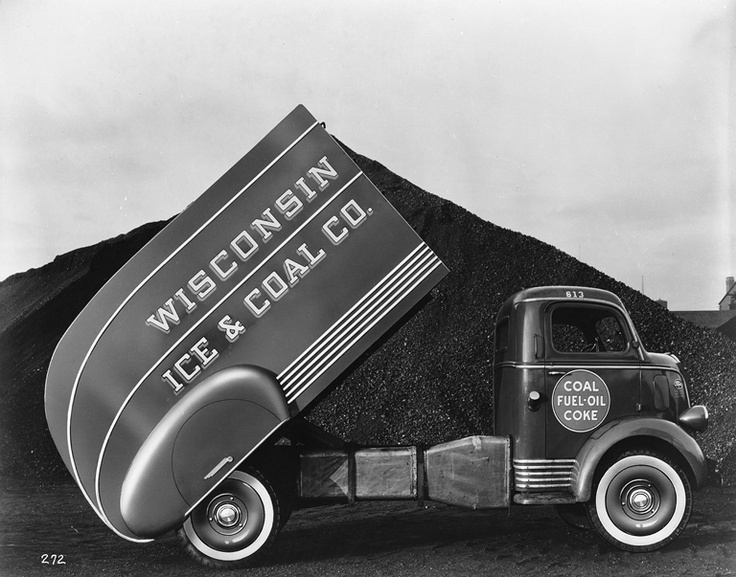 Most of the natural gas produced in this era was manufactured from coal, as opposed to transported from a well. Near the end of the 19th century, with the rise of electricity, natural gas lights were converted to electric lights." Early inventors had nothing on these guys......I suppose when the sausage is done, you just hit the steam button and they all fly up onto the plate! Ron found this 1937 reel of campers.......ENJOY! Dane's old nostalgia cars and trucks. Is that really Elvis? This is a rare photo of cRc member James Frame when he was young! Over the years there have been many "auto innovations" that were not ready for prime time. Here are a few, along with captions we could not resist! "Will someone PLEASE, PLEASE help me?" "I do NOT want to be seen in my husband's contraption!" "Blimey! I've landed! Now how do I get this scooter off this raft without getting my pants wet." "Riding this thing is so far below my dignity, I can barely breathe!" "My mum TOLD me NOT to marry an inventor....... and I just wouldn't listen." And just why would anyone build something like this? Note the lady toward the front on this side.....wishing she could be back on the beach. The expression on the man's face says everything. "I am a crazed moron, how about you?" I always cruise the railroad yard in my "stacked heels and pinstriped bibb overalls"...."doesn't everyone?" "Jolly well! LAND HO! Oh thank goodness.... stiff upper lip and all of that Tommyrot!" I am on my way to MASTERTECH to have Gene adjust the toe-in.....hope I get there before the outer treads are gone. Prototype for cRc cruiser vehicle...... capacity 8 idiots.